The Toddler program at Lakeside Montessori is taught by a certified Toddler Montessori teacher, along with two caring and qualified assistants. The program is divided into five areas: Practical life, Language, Fine Motor, Art and the Outdoor environment. 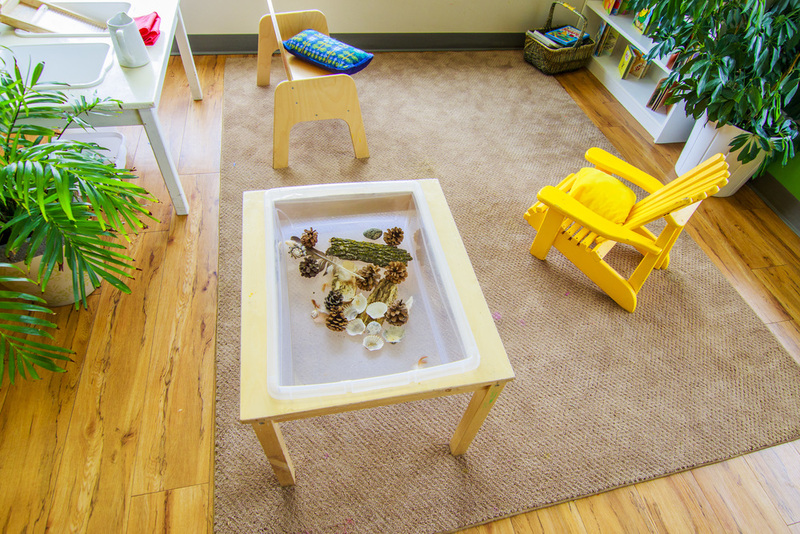 This Practical Life Area of the Toddler classroom helps with the development of the coordination of movement of the child, by providing motives for activities that encourage repetition. Children are encouraged to develop orderly work habits through purposeful activities which have a logical sequence of actions (beginning, middle and end), as well as the whole classroom environment being a very organized and child friendly space. The classroom environment also provides an opportunity for social interaction - the formation and integration of personality, as well as, mental, physical and emotional development. The Language Area of the Toddler Montessori classroom encourages the development of self confidence through self expression. 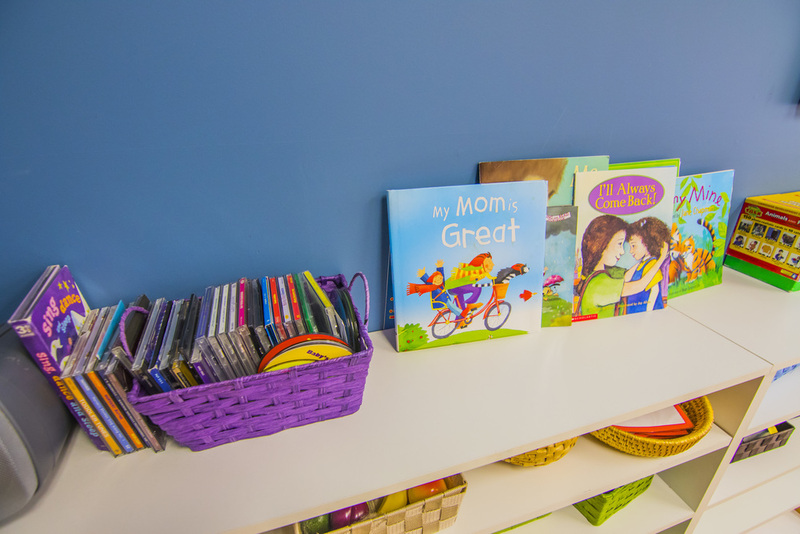 The materials in the classroom help enrich a child’s vocabulary as well as, introduce and foster a love of books and knowledge. Children learn to associate objects with their names, at first very concretely with actual objects and then later more abstractly through photos. The children are also aided in sentence construction to encourage further growth and independence, through both individual work activities as well as, through circle time that is lend by the teacher. 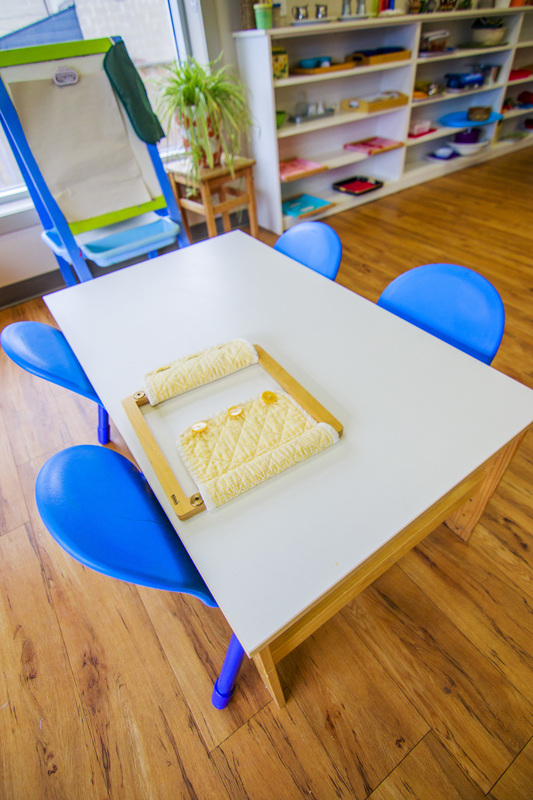 This Fine Motor Area of the classroom includes refining the small movement of the hand, the exercise and development of hand and eye coordination and refining the movement of fingers (index finger and thumb in opposition). The materials in the classroom aid in the coordination and collaboration of two hands working together, to give tactile and visual experience of geometric shapes and stimulate various movements involved in opening and closing items. Children are also offered a number of variations for grasping and are encouraged through these various exercises to increase their span of concentration. Art is more than expression, it is also a way to form intelligence; it provides movement, control, organization, order and language. Art in the Toddler Montessori community is process oriented and does not focus on the product, on the end result. We strive to create an environment in which the development of the child’s art can occur and the child’s art work is always respect and appreciated. 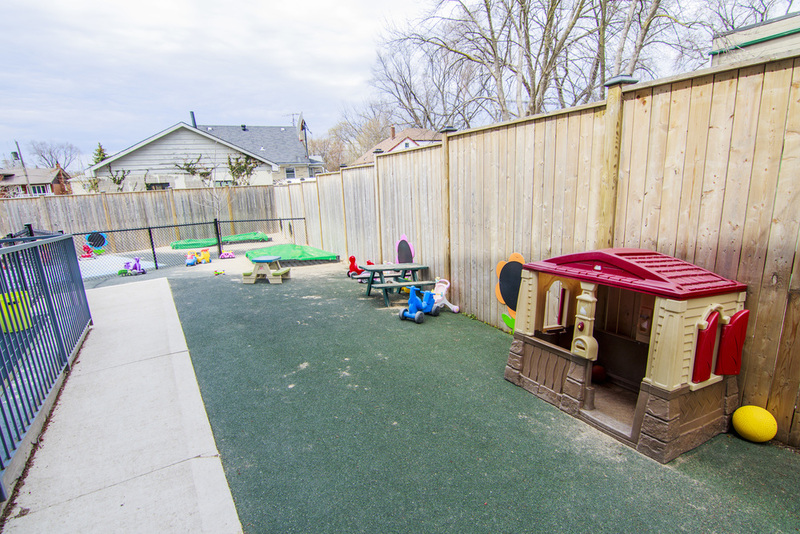 The outdoor environment gives children the opportunity to use their senses. It allows them to form a relation with nature, to enjoy it and take care of it. Listening to and touching all of the things that nature has to offer – grass, water, mud, birds, looking at the clouds, feeling rain drops on their face, watching trees sway in the wind – all of these experiences bring the child one step closer to nature, the seasons and the cycle of life. The outdoor environment is explored both in the school playground as well as on nature walks within the community.